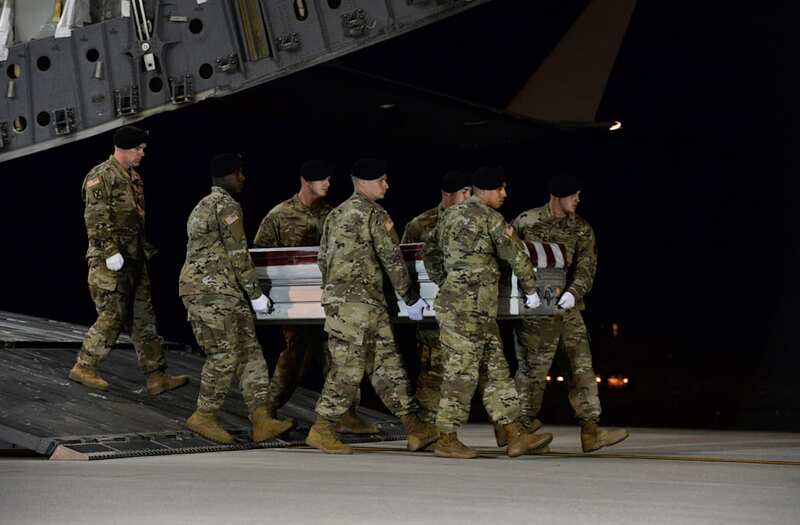 A Pentagon team headed to Niger has been tasked with finding basic information about why four U.S. soldiers were killed there more than two weeks ago. The Africa Command (AFRICOM) will do a “review of the facts” of what exactly happened during the Oct. 4 ambush, Defense Department officials told NBC News. What’s more: officials aren’t sure how the 12-man Army patrol was attacked. “We need to collect some very basic raw facts,” one Pentagon source told the network. The attack has sparked criticism on multiple fronts, particularly about the flow of information and how President Trump handled the response. Intelligence on the ambush has been hard to come by, however. A defense official told NBC News the confusion has been “tremendous.” The body of one soldier wasn’t recovered for two days. Sen. John McCain, who chairs the Armed Services Committee, complained he too hasn’t received much information about the attack. The AFRICOM team has reportedly been tasked with finding out where the soldiers were during the attack, what kind of protective armor they had and what intelligence they were given ahead of time. An ISIS branch in the Greater Sahara is believed to have carried out the attack. Although it “has not been claimed by a terrorist group, but a group claiming association with ISIS, ISIS in the Greater Sahara, is likely responsible,” one official told NBC News. But experts have been mixed on how tied the group is to the Syria-based main terror cell. The four slain soldiers were part of the Army’s 3rd Special Forces Group, which was advising a squad of 30 soldiers from Niger near the country’s border with Mali. Their deaths have become a political hot point in Washington, with critics bashing Trump for not addressing the attack for 12 days. Rep. Frederica Wilson (D-Fla.) then said Trump had an insensitive phone call with the widow of Sgt. LaDavid Johnson, one of the four soldiers killed. Trump, the lawmaker said, told Johnson’s widow “he knew what he signed up for” and seemingly forgot the sergeant’s name during the call. The President denied those claims on Wednesday, calling them “fabricated” and he had proof of such. Speaking to reporters later, he declined to indicate what he actually said or what proof he had.